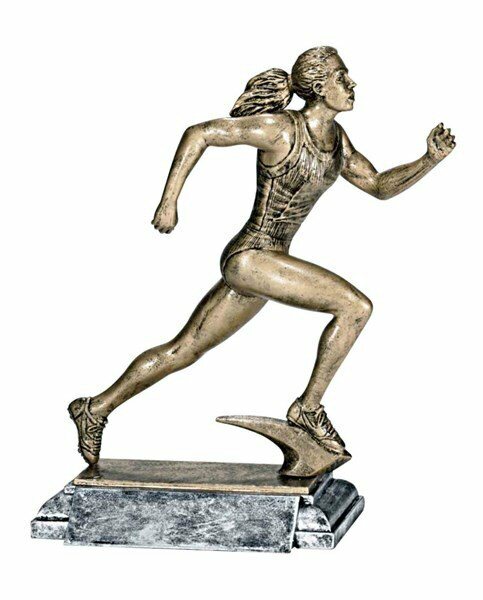 Professionally sculpted resin with a realistic running pose. 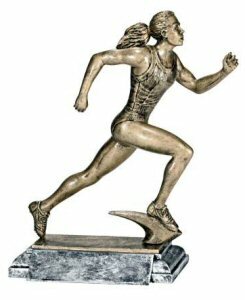 Three lines of free engraving on a gold plate are included to making this award special. Looking for the male runner.